The security barrier built by Prime Minister Sharon in the midst of the Second Intifada runs through the Jerusalem municipality, and two large Palestinian neighborhoods containing 90,000 people (30 percent of Jerusalem’s Palestinian residents) – the Shuafat refugee camp and Kafr Aqab – are inside the borders of Jerusalem but east of the security barrier. 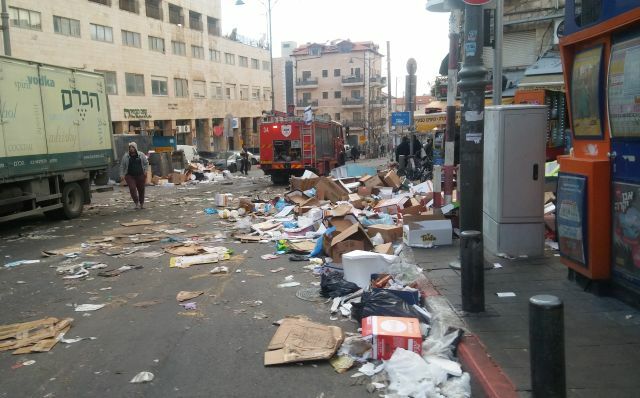 The consequences of this are that none of the services operated by the city of Jerusalem, from police to fire to sanitation, operate inside these two neighborhoods, but those services are also not provided by the Palestinian Authority because it has no jurisdiction inside of the Jerusalem municipality. It has turned the Shuafat camp and Kafr Aqab into no-man’s land with no security, roads and water infrastructure in disrepair, and garbage in the streets. Since Israel is unwilling to assume responsibility for these neighborhoods in any tangible way, they should be rezoned out of the Jerusalem municipality and into the Palestinian Authority as a way of reducing crime and improving security within Jerusalem and making them more inhabitable for the Palestinians living there. It is hard to estimate how many people are living in the area of the Shuafat refugee camp. 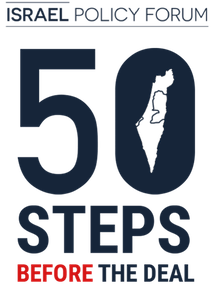 While the Jerusalem Municipality holds that some 30,000 residents live there, the local estimate supported by different NGOs is that there are around 80,000 inhabitants, including nonresidents who came to settle there. Since the wall was built, the area has suffered from a lack of essential services from Israeli authorities, whose workers most of the time refrain from crossing the checkpoint – for security reasons, they say. In 2005, the cabinet issued a decision directing various authorities such as the municipality, the Interior Ministry, and others to make all the necessary moves in order to provide proper services to the neighborhoods left behind the wall. However, local residents complain about constant water and electricity shortages, the lack of a proper sewage system and garbage removal, and say that municipal officials are seen in the area only rarely – and even then, it is only to issue fines for illegal buildings, which the vast majority of the edifices are, due to the lack of a proper master zoning plan for the area. But above all stands the lack of any police presence in the area, which leads to a high level of crime and a high murder rate, according to residents. A Palestinian Village Was Annexed To Israel After The 1967 War. Now It’s Behind A Wall And Orphaned. 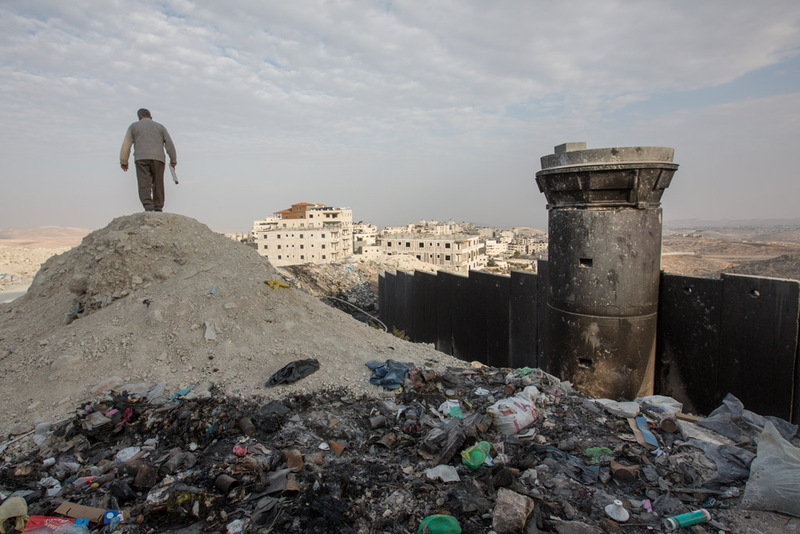 Straddling the road from Jerusalem to Ramallah, the Palestinian neighborhood of Kafr Aqab is a confusion of illegally built apartment buildings, potholed streets lined with trash, and snarled traffic. Looming over it all are massive concrete slabs of Israel’s separation barrier. Immediately after conquering the West Bank during the Six-Day War, 50 years ago this month, Israel declared some of Kafr Aqab part of a “united” Jerusalem. But today the district feels abandoned by Israel to a “Twilight Zone” existence all its own. This is a place where the police seldom come, illegal guns are plentiful and the sole post office was shut down years ago. Yet most people, including the head of the Palestinian Authority-run local council, have Israeli residency cards and dutifully pay thousands of dollars in municipal taxes to Jerusalem.